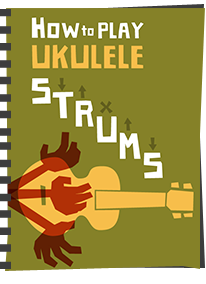 You may recall that the HPL (High Pressure Laminate) ukuleles I have featured from Enya before, including their Camp style EUR-X1 and the EUS-X1 soprano, caused quite a buzz and rush to buy them on account of their very solid build and insanely low pricing. This EUC-X1M is actually a 'value' version of their previous EUC-X1 (without the 'M' model) and I will highlight the differences I can spot further into the review. If it wasn't obvious, Enya are a Chinese brand which is where these are made. First up though - HPL. A quick reminder for those who may not have read my HPL instrument reviews before. HPL is a synthetic material made from sheets of paper card pressed into a sheet in a binding resin to create a very hard and durable thin material. It's essentially the same stuff that is layered on to the tops of kitchen counters, sometimes called Formica. It's available in a few guises in the ukulele world, perhaps most notably by Martin, but also by Pete Mai in his wonderful Bonanza ukes. The key thing here is that there is no wood in it whatsoever. Whilst it might look like wood on the outside, that's actually a screen printed graphic and not a wood veneer. In fact you could have any design you like on the outer face. 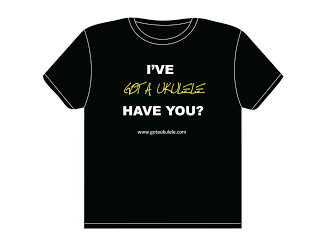 For me, I like the material as a wood alternative and find that it works well with ukuleles. The EUC-X1M differs from those other Enya's that don't have the 'M' tag in that the outer face does not use a Koa graphic, but rather a mahogany print. It's kind of a non-point really because as I say, it's only a graphic and not actual wood. 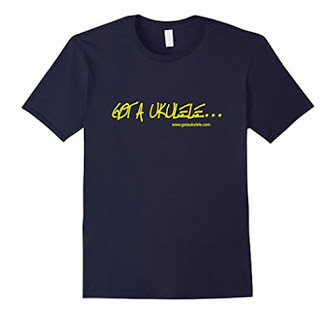 As such it makes no difference to the ukulele whatsoever other than in looks. On that front I would say the mahogany is not as attractive as the koa, but it's still hardly ugly. It's a similarly curvy double bout shape ukulele to the X1 with a nice rounded base giving it a very attractive look to my eyes. The bridge is a slightly different shape, but is a similarly low profile mount made of Richlite (another paper based composite used a lot by Martin and Gibson). Like the X1 it is a 'through body' style meaning you feed the strings into the body, grab them out of the sound hole, knot them and pull them back. This provides for a more unfussy tidy look at the bridge but also, more importantly, a reported better break angle and pressure application on the saddle down onto the top of the body. The bridge on this looks like it is made of bone and the top is compensated. What you will see from the photographs though is that the richlite is quite dry and pale looking in places, but I am sure that can be remedied with a tiny smear of fingerboard oil and a cloth. It looks messy as it is though, but it's not a huge deal. 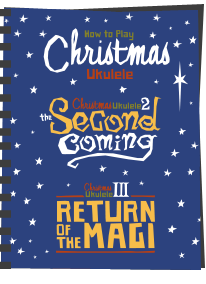 Like the X1 there is no other decoration on the ukulele, and I quite like it for that. 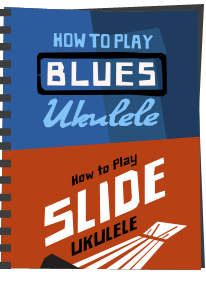 You get the telltale dark grey cross section of the HPL on the edges giving the ukulele a look as if it is edge bound when it isn't. I like that too. Inside is tidy enough with wooden thin braces and notched linings. Like other Enya models the name is branded on the neck block and there is little mess. Up to the mahogany neck and this is similar to the X1 in the sense that it is removable and bolted on by the neck heel strap button. (Incidentally, you also get another strap button on the base). It's a neat idea and worked well for me with the soprano version as it allowed me to unbolt it and get it to fit inside a hard airline cabin bag when I flew with it. Other than that though, I suspect you will never touch it. The profile isrelatively flattened on the back and the nut is a roomy 36mm with 28mm from G to A strings. The neck itself is made from three pieces with joints at the heel and headstock. Topping this is a Richlite fingerboard which is supremely smooth if in need of a drop of oil like the bridge. The departure from the X1 here is that it doesn't have a radiused top so is dead flat. 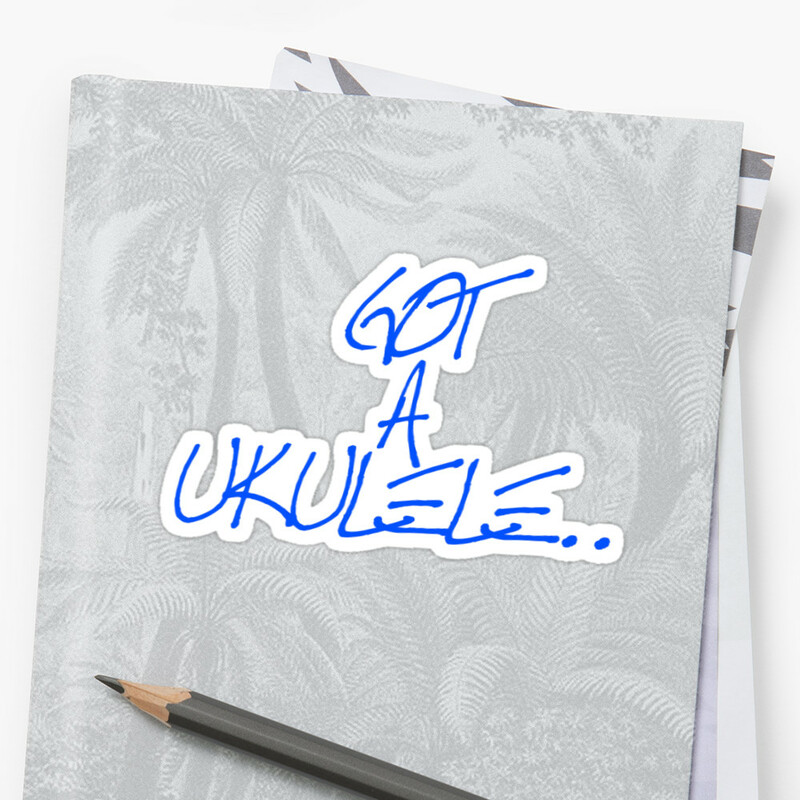 That's a shame, but I suppose hardly a deal breaker as the vast majority of ukuleles out there don't come with radiused boards. It's fitted with 18 nickel silver frets and is joined to the body at the 14th. The fret markers are more basic than the X1, using white circular dots at the 5th, 7th, 10th and 12th. Thankfully you also get side dots too - something that was missing from the earlier Enya models I reviewed. The headstock is also a plainer affair going with a regular solid peg head as opposed to a slotted design. It's nicely faced in black with an updated Enya logo which I actually prefer to the one people assumed was the Irish singers name! No real complaints with the headstock other than it being a little simple looking. It actually reminds me of the JS longneck I looked at recently. Tuners differ also with standard sealed gears in all black with Enya logos on the covers. Whilst I miss the orange / brown buttons of the X1, I actually prefer these tuners than the plastic mounts of the earlier model. It's finished what look like Enya strings (although I note on their listings that they now suggest Aquila strings) and a slightly downgraded package of extras. Out goes the glamorous cardboard box, out goes the little accessory bag and the gig bag is different too. It's not quite as padded as with the X1 but is still perfectly functional with a funky spiral zip arrangement. And you still get a tuner, strap, spare strings and picks, so it's not a huge downgrade. The price is one I am always careful with when it comes to Enya as they go up and down so frequently. At the time of writing these are around $50 in the US and £55 in the UK. That's a better price than the X1 version which is currently running at about $86. EDIT! The UK price excludes about £22 delivery, so more like £75 over here! One thing that was a downside of the round HPL Enya as well as the soprano was a lack of volume. With the round model I put that down to the bridge being off the most resonant part of the top, but the soprano too, despite it having a more traditional layout was also rather quiet. There isn't a reason for HPL to be quiet as models like the Martin 0X ukuleles have a real punch but the Enya's did suffer here. This concert is improved on the soprano, but is still a bit on the quiet side. Don't get me wrong, it will be heard, but it is lacking a real punch. Perhaps a string change will help here, although that didn't massively help the soprano. But like those other two, what this does have is a very pretty tone. Sustain is only reasonably good but the tone is very nice. It has a chime and a richness that I really rather like - not too warm and not too bright. 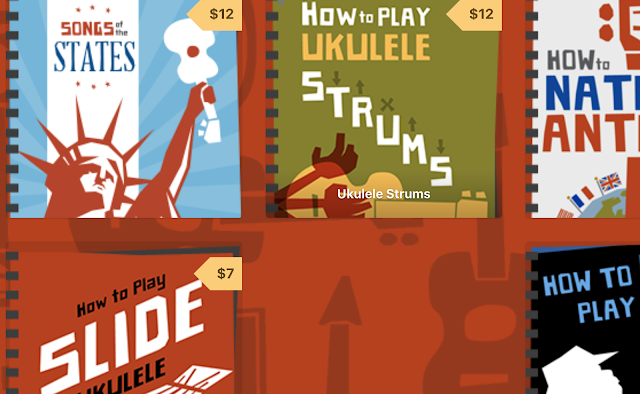 With the smaller models, other people found the same thing and liked them a lot for home practice, recording or just to own a quieter uke. Whilst this one is not dead quiet, I have few complaints with the actual sound of the thing. Strummed, it produces a nice jangle, and whilst fingerpicking is not quite so satisfying it's still no slouch. It's also really playable with the neck in particular feeling really comfortable. One thing I don't like are the Enya strings but as I say above, these may well have now changed to Aquila. So it's another positive for me from Enya and personally think the more 'value' price without much of a difference in the actual ukulele makes this something of a no brainer. It's fifty dollars... It's well made, sounds nice, looks serious and plays well. And for that price, well, that makes it hard for me to dismiss it. Recommended. If it comes with Enya brand strings - change them! Excellent review, as always, Baz. This time of an instrument that might well go under the radar otherwise. I pretty much agree with every point you made although, strangely, my model does have a slightly radiused fingerboard which I love for playability. The build quality is really excellent and the look is, well, different but I like it too. On the loudness issue, you are spot on; it is quiet but the tone is lovely. I swapped the fitted flourocarbon strings for Living Waters and, although this improves the sound and feel, there's no appreciable increase in volume. I wonder if anyone else has found strings that do make this instrument more suitable for performance? I like playing this ukulele so much that I've thought about fitting a pickup and pushing it through an amp - I'm a bit tentative about cutting holes in the HPL material though so have been search for alternatives. I have an X1 tenor which is also very quiet. Perfect for playing in the conservatory, but in a group there’s no real punch. I’ve restrung with Aquila Lava strings as I didn’t like the fluro strings it came with, and while they seem to be a little brighter, there’s no appreciable volume increase. Other than that the tenor is a joy to play, with a nice easy action and a comfy wide neck. My EUT-X1 Tenor did seem to increase in both sustain and volume with Aquila red strings, they are thinner than the,Titaniums (?) that were on as std and apart from a slightly squeakyness they improved it a lot.